55 full h/u seas. 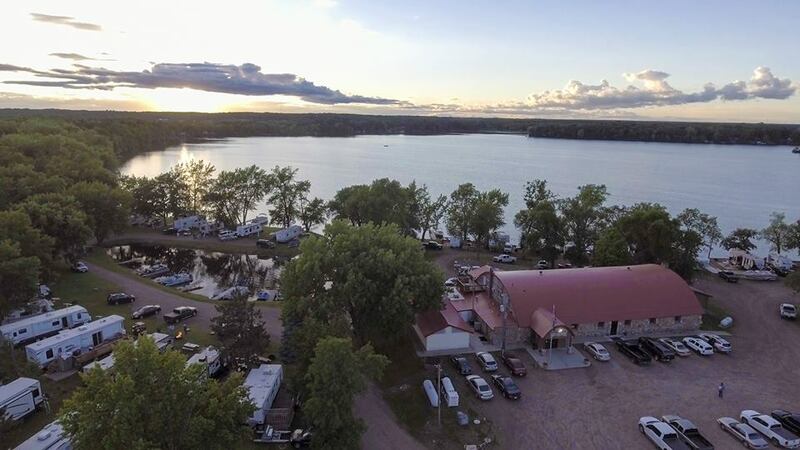 sites, 28 elec./tent weekend sites/docks/picnic area/playground/horseshoes/restrms/showers/laundry/dump station/fish cleaning house. Firewood/ice/bait/propane. Pontoon/boat & motor/paddleboat/canoe/kayak rentals. Banquet hall rental for weddings, etc. up to 300 w/catering. AC, video games, WiFi/live entertainment. Bar/grill open year-round. Great food! Great fishing! Pets ok. Dates Open: Campground open May 1-Oct. 1. Bar/grill open year-round.